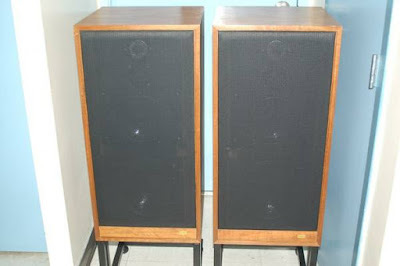 Spendor BC3 loudspeakers in excellent shape. 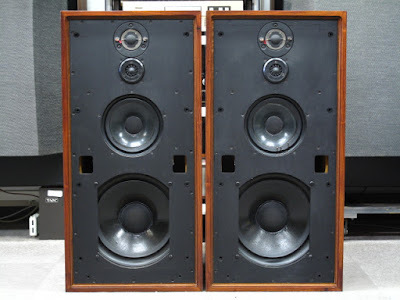 The classic BBC monitor in natural cherry , The Spendor BCIII loudspeaker was introduced in 1979. It is a 4-way design based on the classic BCI. It also used an additional 12" driver for bass reinforcement. It is highly sought after and is very hard to find. Spendor remains among the few high-end speaker manufacturers that design and make their own drive-units. I have owned and listened to BC3s since 1978. For me, they have been the most natural-sounding and closest-to-electrostatic-character dynamic speakers I have yet heard, with the magic mid-range imaging. The BC3 needs a high current amp that can drive difficult, reactive loads. They have always been cited as difficult to drive. 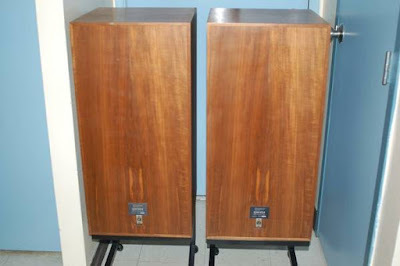 However, my old Dynaco Stereo 70 drove them without any problems. Musically engaging and extremely well built. Spendor approached the design of the BC3 much like the creation of a musical instrument. The result is a smooth, rich presentation with a brilliant midrange. This model was the standard for many British radio stations to this day.